Some of my more observant (way more observant than me!) 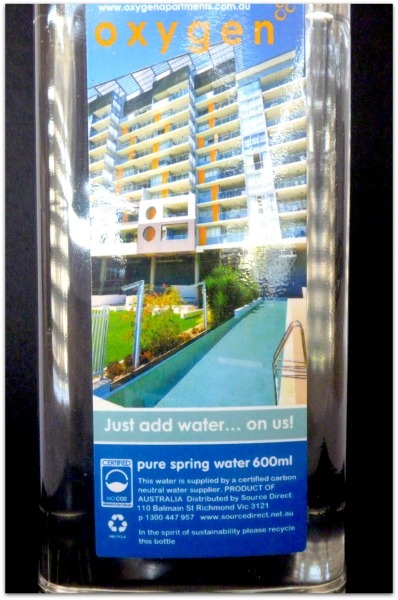 JAI Design Team members noticed that the bottles of water in the apartments where we stayed for our recent Stampin’ Up! South Pacific Convention had the following label on their bottles. Did you see the words under the photo of the pool? Just Add Water! This bottle was made for us! So when I think of water, I automatically think of a boat stamp. Not very original, but I had a purpose in mind for my project. My Dad had a birthday last week, and in addition to giving him some cash, I covered and decorated him a block of white chocolate. My dad LOVES white chocolate and I’m pretty sure I give him a block every birthday, but I know it will be eaten. This chocolate cover was made to match the birthday card I made my Dad – click here if you’d like to check it out. 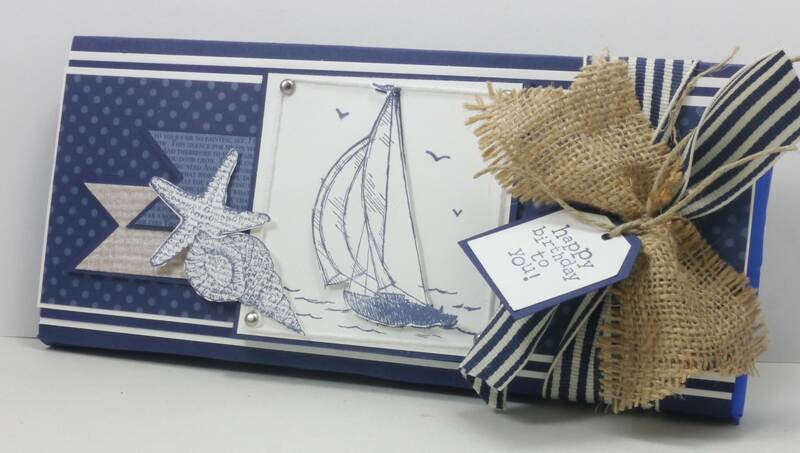 Head over to the Just Add Ink Challenge blog and check out the varied and creative projects the Design Team have created for this fun challenge. Snowman cards are not very big in Australia as generally our Christmas day is hot and no snowman would survive the heat! 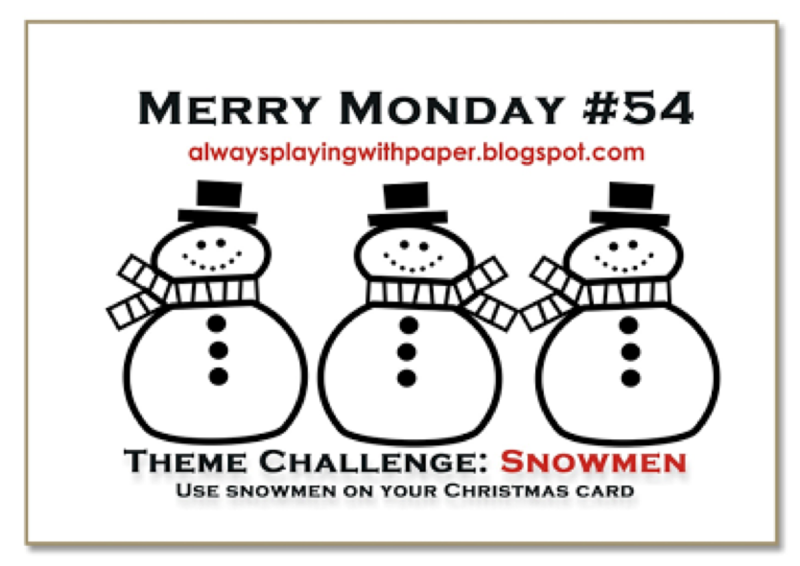 The only stamp I really have with a snowman on it is a gift tag stamp from Stampin’ Up!s Tags Til Christmas. 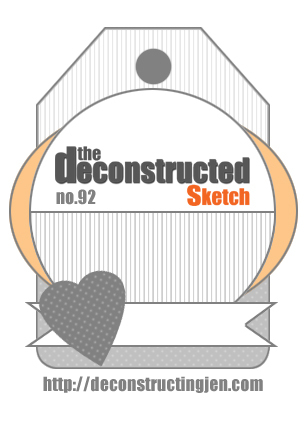 I left my run too late to put in an an order for a stamp so I came up with the idea of creating a tag for gift packaging. 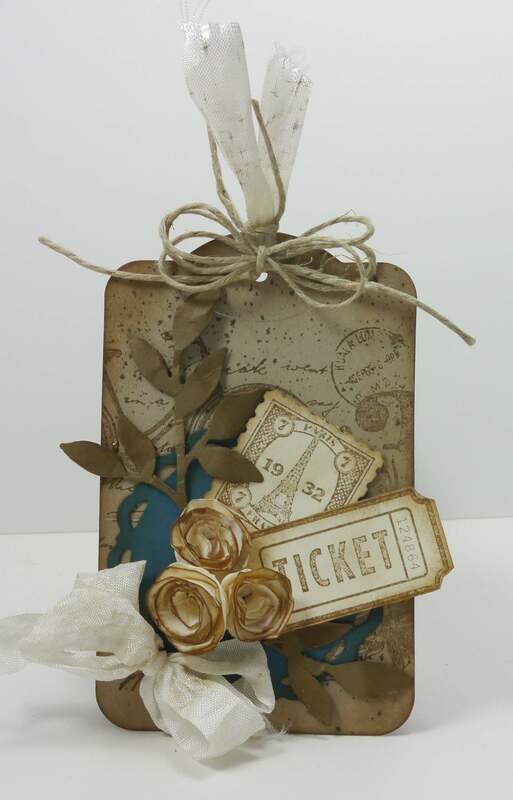 Here’s my heavily decorated Stampin’ Up! Lunch Sack – the decorating kinda overshadows the snowman, but he’s there! 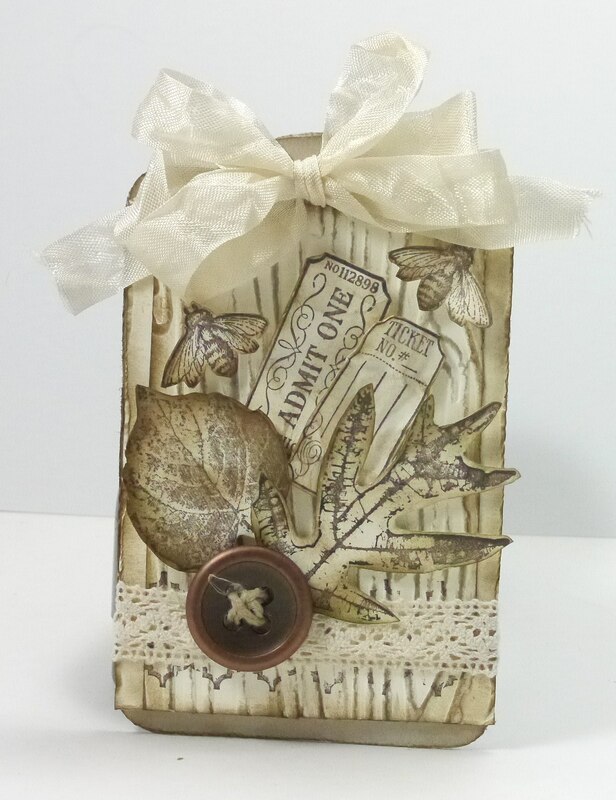 Because I took this “Snowmen” challenge as pleural I decided to decorate a Stampin’ Up! Kraft Box to match my Lunch Sack. Both of these gift packages have belly bands around them, so it’s easy to open the gift by sliding it off. 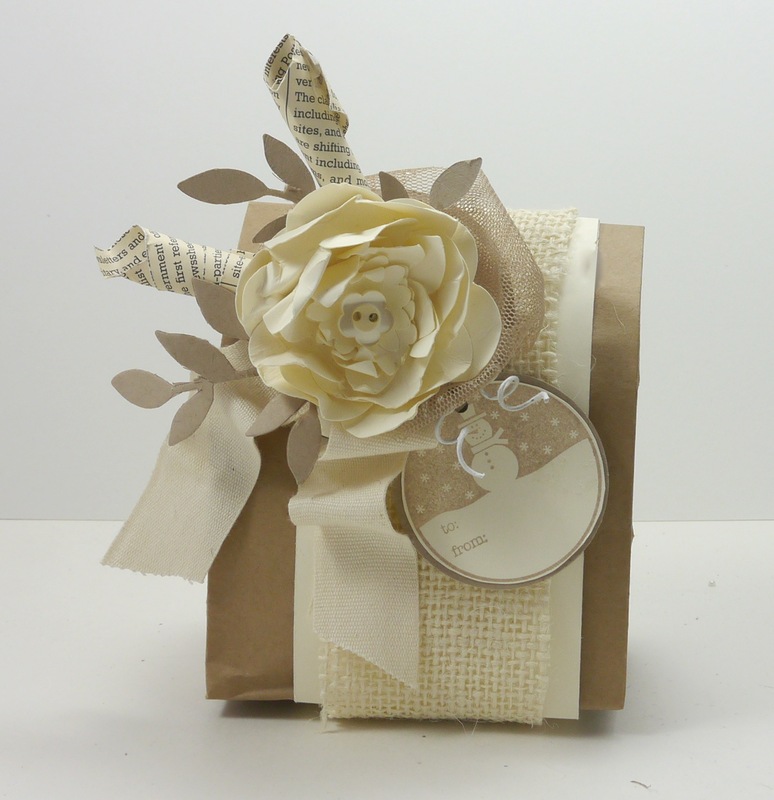 Both of these projects were inspired by by packaging I have seen on Pinterest. 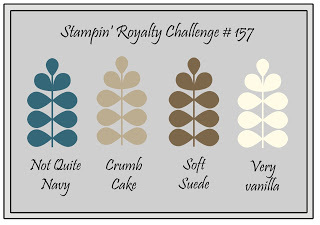 If you love a challenge with really soft and pretty colours, the challenge over at Inspired by Stamping is for you. 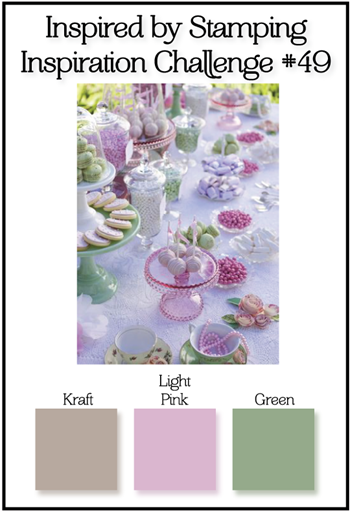 Their colours this week are Kraft, Light Pink & Green. For our first challenge for 2013 at Just Add Ink, our challenge for you is to create a project using the Big Shot. We’ve organised a blog hop to help you with ideas. 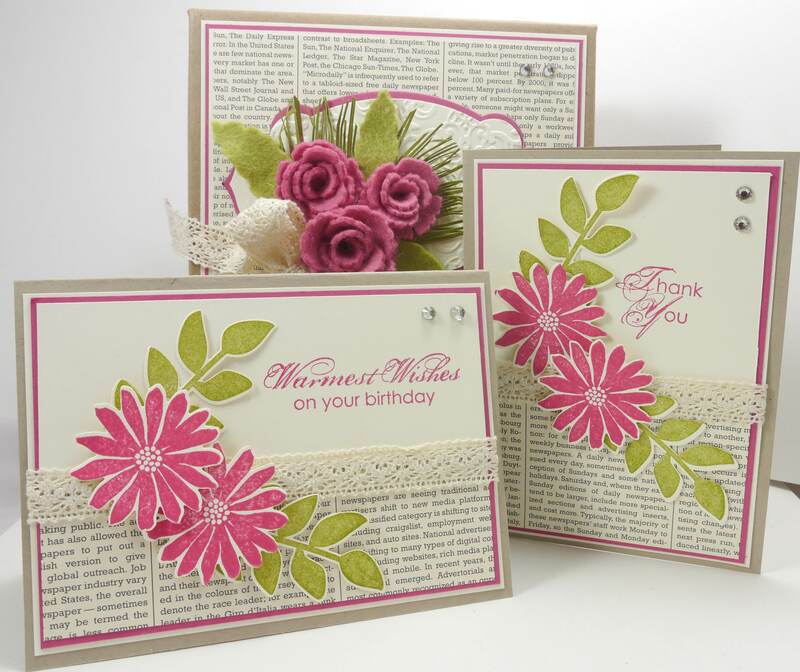 We hope you can find inspiration from the many gorgeous and varied projects the Design Team have created. Thank you so much for joining me on my very first blog hop – I’m extremely excited to playing along. 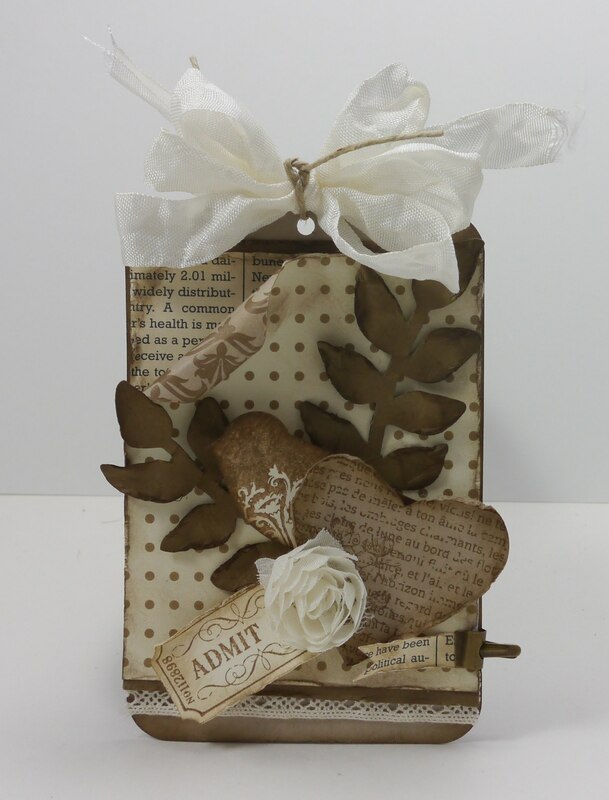 You may have come here from the very crafty Trish’s blog (didn’t you just love her flowers? ), but if you’ve just joined us, that’s ok too. There’s a full list of our Design Team and their blogs at the bottom of our posts if you get lost. 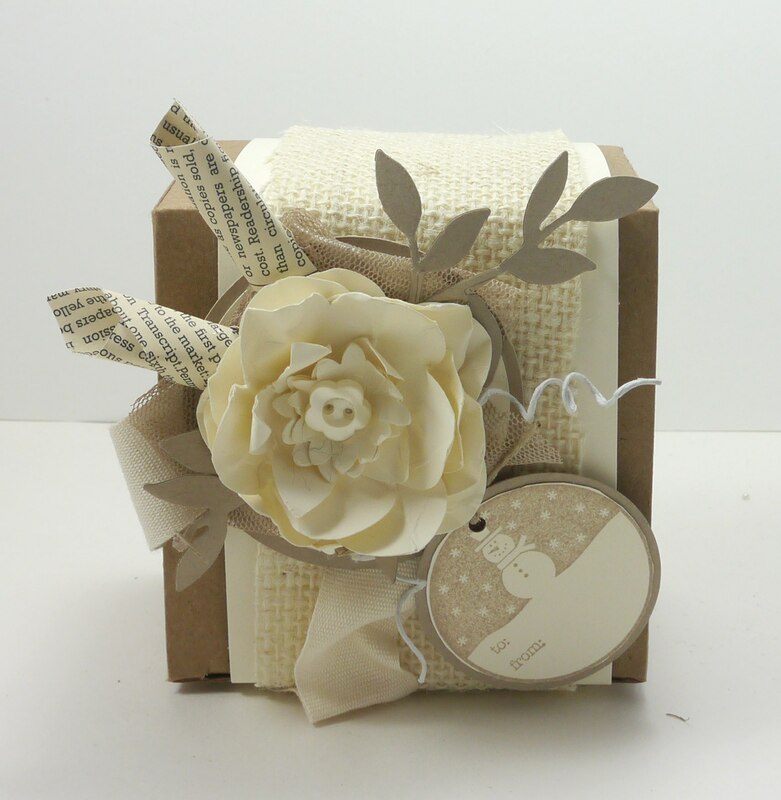 As I was cleaning up my craft room last week I came across some discarded boxes, so I decided to decorate one and make it into box with a set of 6 cards to give as a present. 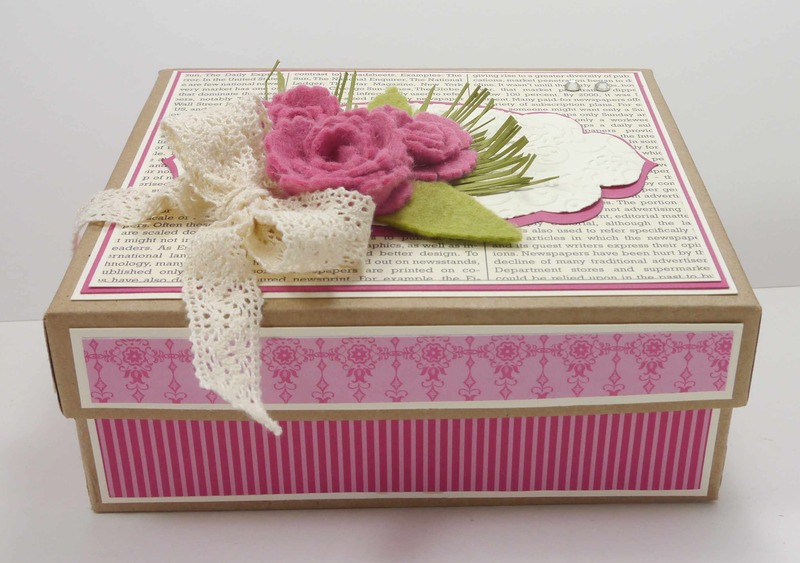 When the recipient finishes giving away the cards, they then have a pretty box to keep for themselves. As part of my Secret Santa gift this year I received some gorgeous felt from Nikki – something I’ve never used before but will definitely be using again (thanks Nikki!). I’ve recently purchased some new Die-namic flower dies that I’ve been wanting to try out – so I ran the felt through my big shot and made these pretty flowers. I then hand-cut the leaves out and stuck them all together. 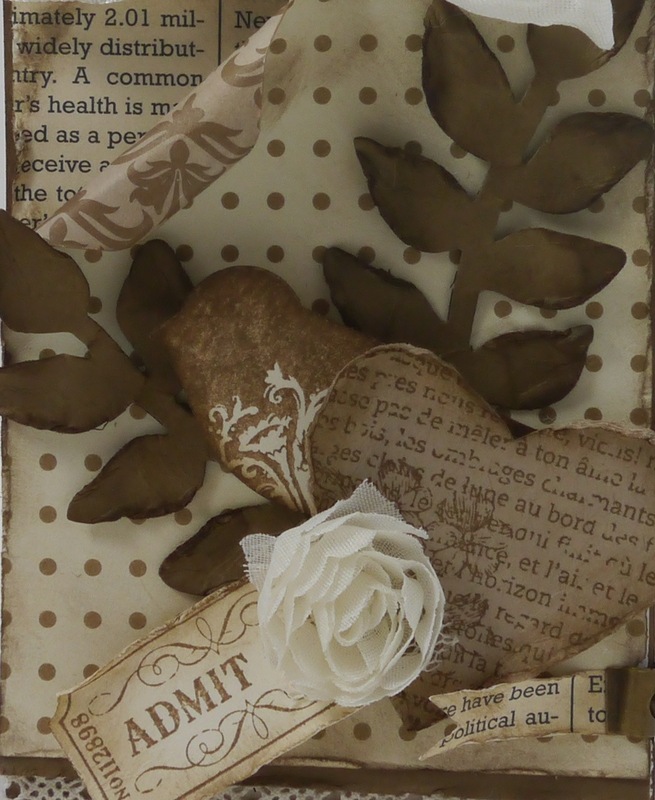 Here’s a view from the side of the box so show you the Designer Series Paper I’ve used. 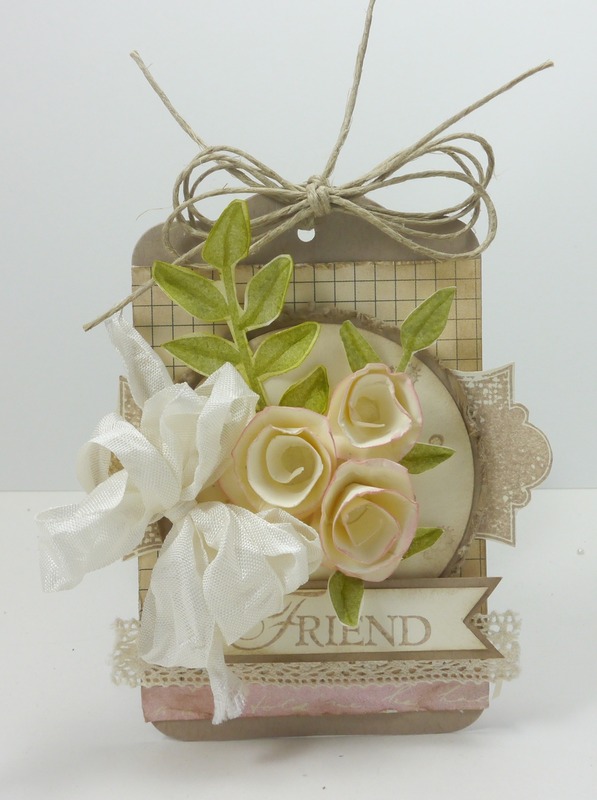 The felt I was given matched Stampin’ Up!s Rose Red and Old Olive perfectly. And here’s a picture of the box with two of the cards in the set. I’m the last stop on our blog hop, so now if you’ve finished hopping you can head back over to Just Add Ink and link up your Big Shot project. 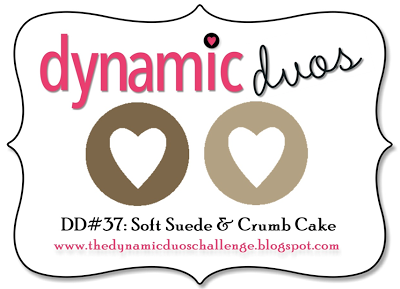 If you’ve just joined our blog hop, then you can now head over to Mae’s blog by clicking on her name or the big shot below. Thanks for hopping with us! 11. Narelle – that’s me!